VNUE, Inc. announced today that it raised more than $10,000 for the Sidewalk Angels Foundation from its instant live recordings of international superstar and Grammy-winner Rob Thomas' three sold-out January shows at the Borgata Casino Music Box in Atlantic City, New Jersey. This was the seventh consecutive year that Thomas held the Music Box shows fully benefiting Sidewalk Angels, and the recording of each show were made available immediately after they finished via VNUE’s set.fm as well as partner PledgeMusic.com. The intimate acoustic shows, which Thomas has described as “singer-songwriter storyteller events,” featured him performing a range of material from both Matchbox Twenty and his critically-acclaimed solo albums, as well as other material. “Finding unique and special ways to help raise money for Sidewalk Angels has always been something we work hard at. Teaming with VNUE at the Borgata to give fans those shows via instant live recordings in exchange for a donation was a win win for everyone involved,” Thomas’ management said. Sidewalk Angels Foundation, founded by Thomas, is dedicated to providing critically needed funds and support to over 20 no-kill animal shelters and animal rescues across the country, that “help to fight for the rights and fair treatment of those with no voice.” Proceeds from each and every sale directly benefited Sidewalk Angels. 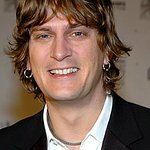 For more information about Rob Thomas, please visit www.robthomasmusic.com. For more information about Sidewalk Angels, please visit www.sidewalkangelsfoundation.org.